Welcome to the first day of the Scandinavian Christmas series! If you are new here, welcome! Every year, starting on St. Lucia Day, I invite other Scandinavian bloggers to share one of their favorite Scandinavian holiday crafts, traditions, or recipes. Today I will kick off the series with a fun and simple ornament tutorial. Enjoy! It is officially St. Lucia Day! I would like to say that I woke up at 5:00 AM and baked Ryan some lussekatter, but alas, I am not that ambitious. In lieu of baking the buns, however, I did get up and drink coffee and eat peparkakor with Ryan before he had to go to work. That will have to do for this year. We drank our coffee in front of our little Christmas tree and put on a few of these new ornaments. When my mom gave me her Swedish cookie stamps, I started brainstorming ways to make ornaments with them. I began researching different types of preservable doughs, and after a few attempts, decided on a cornstarch dough. I love that they come out white and snowy. They look very modern Scandinavian to me. The dough itself can be a little frustrating at times, as it starts cracking after you've rolled it out a couple times. However, after numerous batches, I have learned a few tricks that I will share with you. First, lets make the dough! 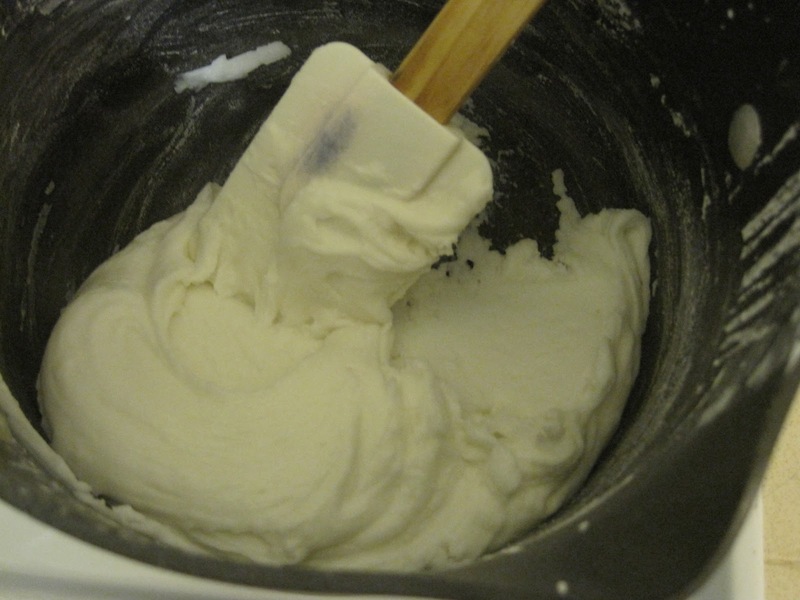 Remove dough from saucepan and put it in a bowl and cover with a damp towel. Let cool approximately 30 minutes, until dough is at a comfortable temperature to touch. Knead the dough thoroughly to get out any air bubbles. Roll out dough 1/4" thick. Cut out your shapes. Or, if you have cookie stamps, stamp with an image, then cut out shape. The picture below shows how the dough can start to crack after a few times of rolling out the dough. To help this, I wrap the ball of dough in a damp paper towel and microwave for 15 seconds. 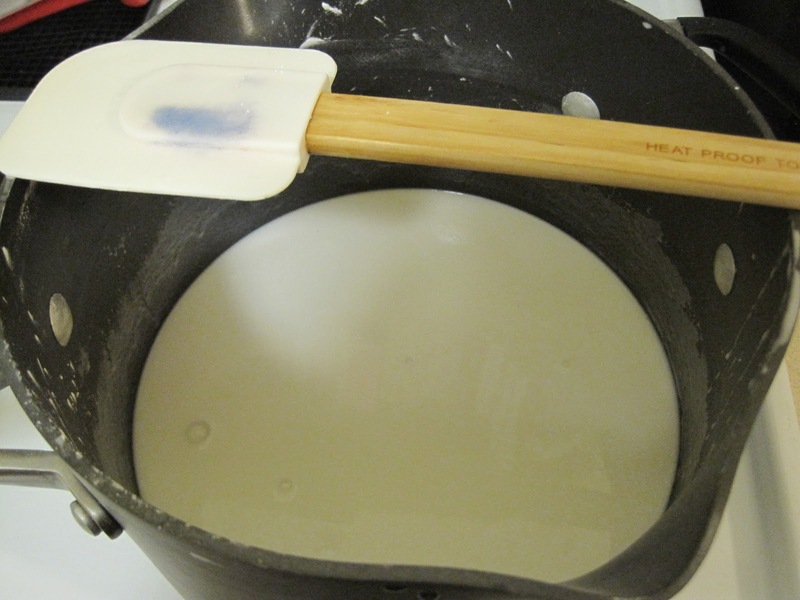 This restores moisture to the dough and helps it to become pliable again. Once you are finished cutting out your shapes, you can add any type of decorations by making indentations into the dough, or just leave it plain. 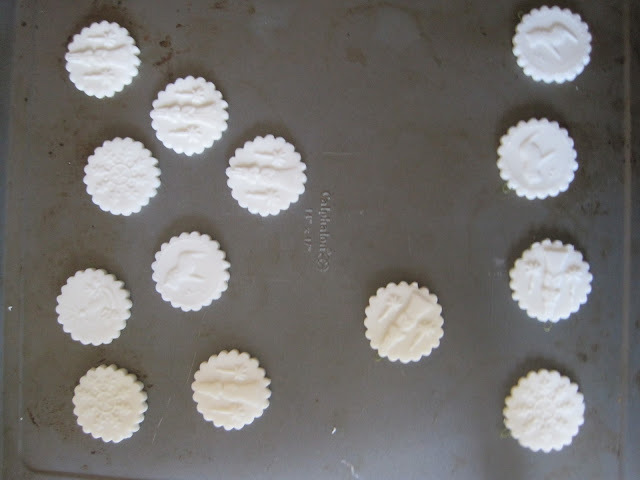 Place cut out shapes onto a very clean baking sheet (lined with parchment if you prefer). Make holes in the ornaments, or add hooks. 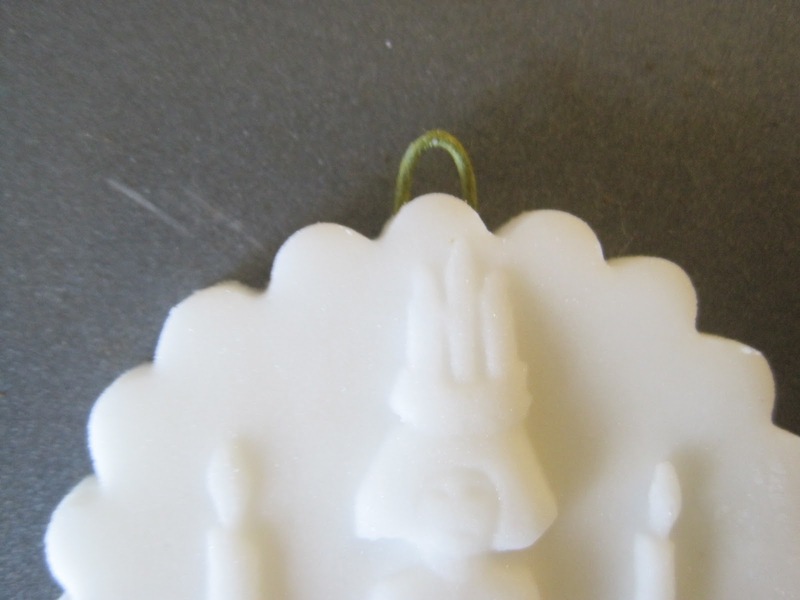 If you want to add hooks, I used floral wire and cut it in 1/2" pieces, bending the piece in have and then inserting at the top of the ornament, directly into the dough at the top. Bake at 175 degrees F for 45-60 minutes. Then flip over and bake an additional 45-60 minutes, or until all ornaments are hard. Let cool then spray with a clear protective coating (I used Krylon matte finish). If you just used cookie cutters instead of cookie stamps, you can paint the ornaments whatever color you'd like. Or have kids paint their own designs onto the shapes. Add your ribbons and hang up on your tree and enjoy! Come back tomorrow to hear from Mette about one of her family's traditions! Great start to the series Kathryn! They look lovely! I'm going to try them! These are quite lovely! Thank you for the how-to. Love, love, love these! Thank you for sharing this great tutorial. 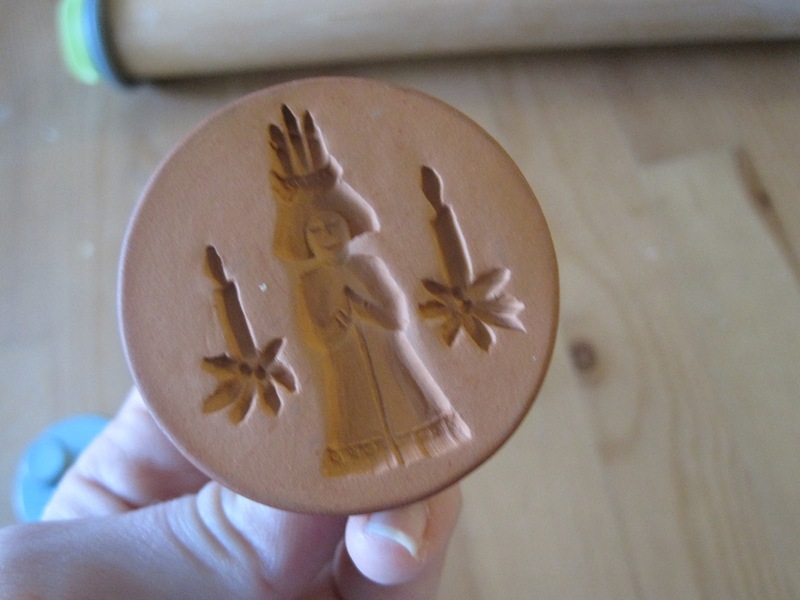 Do you know of a source for those beautiful Swedish cookie stamps? I love the ones you are using. Thank you! I am sooooooo in love! These are simply beautiful! And I can't wait to make some of my own!!! I had a whole set of Rycraft stamps years ago and gave them away! Now i am seriously regretting that decision!! 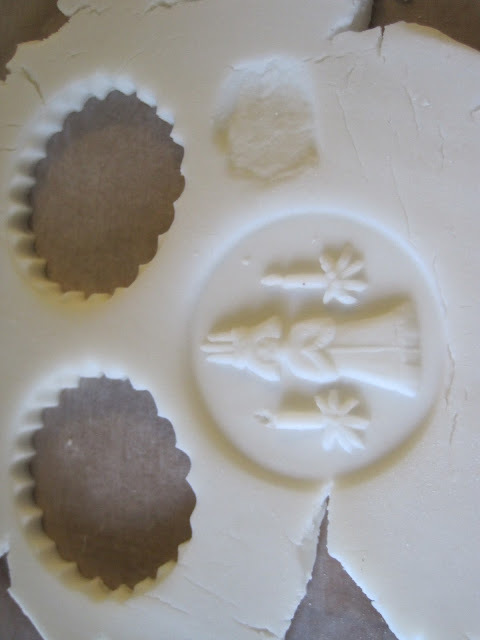 BUT it has occurred I can try my springerlie/speculaas cookie molds!!! 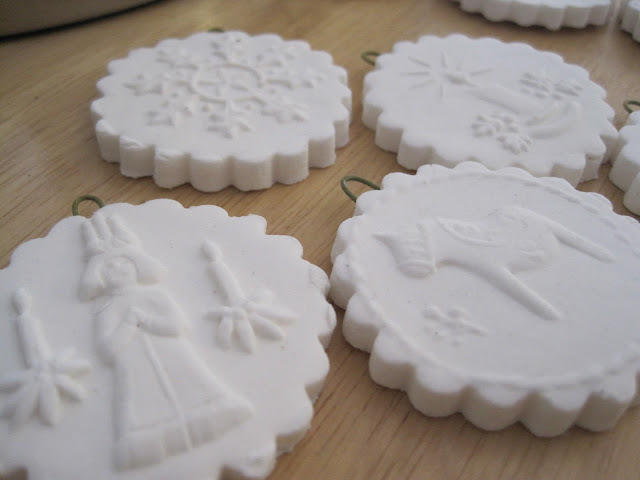 Thank you so much for sharing the recipe, your "tricks" and your beautiful ornaments! These are just beautiful, I've got to say I'm a bit jealous of those gorgeous cookie stamps. Thank you for the tip about keeping the dough from cracking I will defiantly keep that in mind. These turned out so beautiful. They are very special. I am going to hunt for some cookie stamps. These are just beautiful. I will be making these with my children this year. I love the suggestion of placing the wire in the top instead of making a hole. Thank you for the inspiration! Can you make the dough ahead and then use it later? I'm thinking of doing this for a craft for my daughter's beach-birthday (we live in a tropical climate) next week and letting the kids use shells they find on the beach as stamps. What a great idea to use with shells! However, I don't recommend making the dough too far in advance as it tends to dry out. If you do make it in advance, it becomes trickier to work with, in my opinion. If you absolutely have to make in advance, or just want to, I would add small amounts of water to the dough and reheat it gently (in increments of 10 seconds) in the microwave. Good luck! Anyone having trouble getting this to work? Min just turns stone hard as soon as I set it to cool. You might be overcooking the dough, or cooking it on too high of heat. As soon as it becomes the consistency of mashed potatoes remove it from the heat. Also, I would make sure when you let it cool, cover the bowl with a damp towel so the moisture doesn't escape. Hope this helps! Will these last indefinitely? Or do they disintegrate after a few months? They are beautiful! I don't know about indefinitely, but they definitely hold up well over time! The ones I made 2 years ago still look the same and that's without adding any type of sealant or clear protective coating, which I imagine would help make it last for quite a while! Hope you have fun making these! I am about to make these tomorrow. Thought about making some Christmas tree ornaments. I get a bit curious about your Scandinavian knowledge - have you ever been here or is it your family that comes from Scandinavia? Love the way you "promote" our/your traditions! Lucia is coming up soon, my kids are practising daily in school for the Lucia performance, even in kindergarten they are rehearsing the traditional songs. How many do you get out of the batch? Is there a substitute I can use for the protectent?? Hmm...you could forego it altogether if you wanted. They probably just wouldn't last as long is my guess. just curious if you would use the protectant spray before letting the kiddos color/paint on them. Making a bunch for a party, but the kids will come to decorate. Mine also cracked. Baked or air dried. I wanted to get away from the salt dough. Guess I will have to go back to it.